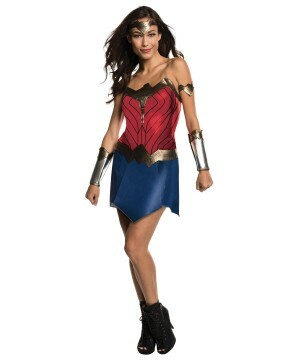 One of the most empowering Superhero outfits, Wonder Woman Costumes from the latest DC Movie and the classic comics are iconic classics. 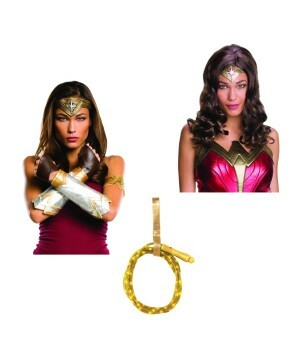 Find your favorite Wonder Woman look in a costume that transcends the pages of DC Comics and bring Diana Prince to life. Without a doubt, there is no better fictional female comic book more solid, more compassionate yet aggressive than the DC goddess herself, The Wonder Woman! 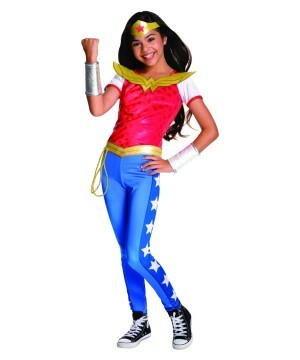 It is no coincidence that Wonder Woman costumes are a recurring favorite year after year among women and even young girls. Fiercely redefining the traits of womanhood and swaying her dagger with valor, she fights tooth and nail for the greater good of the world. 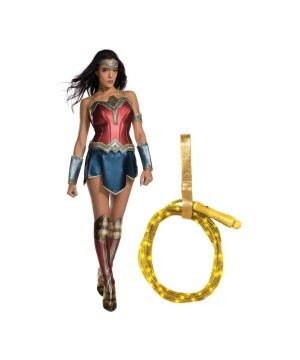 Wonder Woman displays a conviction to the aid those in need and is a true advocate of the power of love and peace. 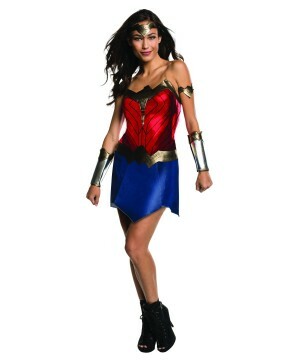 Although naïve at heart, Wonder Woman is cautious with the tactics when she battles on the combat zone. 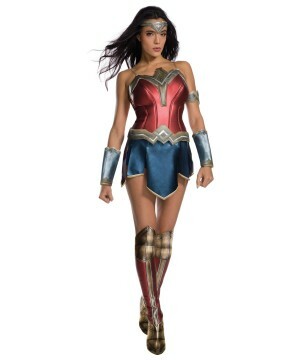 Bold yet lady like, Wonder Woman exudes an unwavering determination to emerge victorious every single time she sets her mind, body, and soul to it. She embodies everything a woman in this age and era must want and should possess. 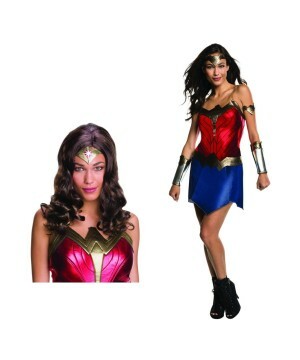 Celebrate the empowered womanhood embodied by this iconic character with a Wonder Woman costume that reflects her warrior spirit. 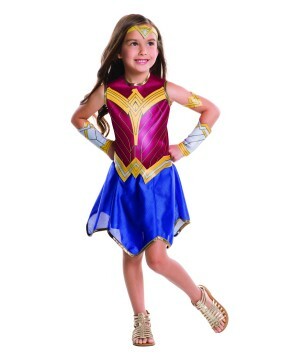 Wonder Woman’s costume has always had a place in the Halloween world but her journey to the big screen has been a long one, starting from her introduction to the comic realm. Known by his pen name, Charles Moulton and artist Harry G Peter envisioned and sculpted this iconic character. 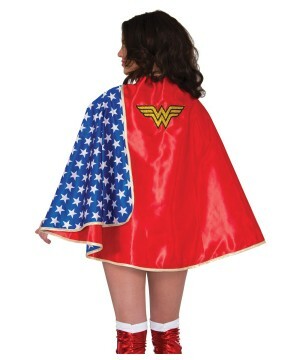 History dates back to 1941, where Wonder Woman made her first appearance on paper in All Star Comics #8 wearing her classic red, blue, gold and white star print costume. 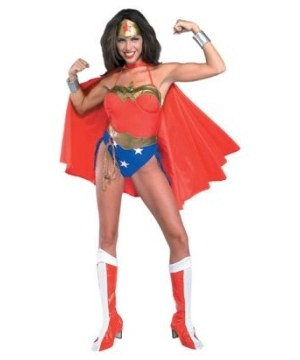 Wonder Woman was first brought to life on screen by Lynda Carter in the 70s wearing a similar variation of the costume from the comics, which despite being campy, has had some people re-assess the show in retrospect. Despite there always being interest from the core audience, studios were always skeptical of making a full-fledged Wonder Woman movie in a time where every other comic book character had his/her movie greenlit. 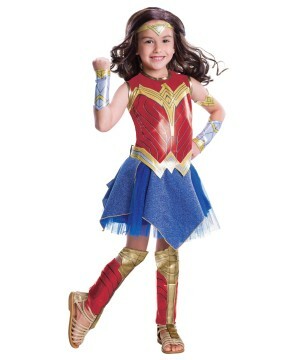 This did not stop the popularity of the character, which is why today, even the classic Wonder Woman costume from the comic book remains a cherished piece of her history. This brings us to the DCEU. After Man of Steel failed to be a breakout tent pole (despite making close to 700 million USD at the global box office), Warner Brothers decided to bring Batman to the fore in the next film leading to Batman v Superman, which divided audiences & critics alike. Following, WB gave us Suicide Squad, which had great looking trailers and iconic costumes, but a movie which didn’t really excite audiences the way the studio would have wanted it to. All of this culminated to Wonder Woman, which for a lot of people was a make or break with respect to the DCEU. And boy, did it deliver! This is a movie we all needed. It is not only a reboot of the character story with a redesigned costume, but it is also a film that sheds positive light on the role of women in comics and film. There have always been discussions in Hollywood on how female fronted superhero movies would do, especially after disastrous outings in Elektra and Catwoman. This movie seems to have put those conversations to rest. If you get a good team together and have a great window spread out for production, the results are phenomenal. 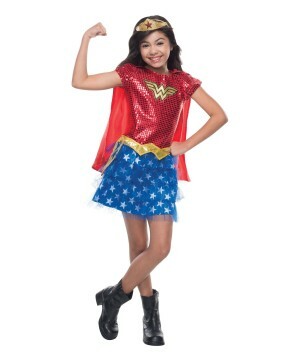 Interest in the Justice League movie is back on track and the world now awaits a Wonder Woman sequel. 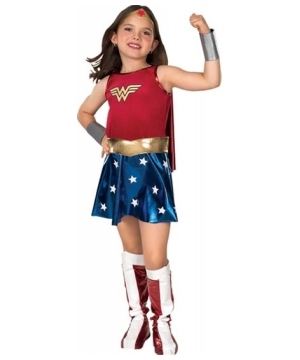 The studio awaits one for sure after all the money this film has raked in, and the Halloween world cannot wait to see the next iteration of the Wonder Woman costume. 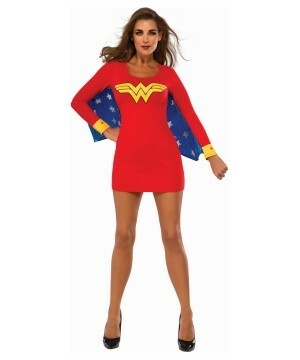 Who wouldn’t want to feel like Wonder Woman? 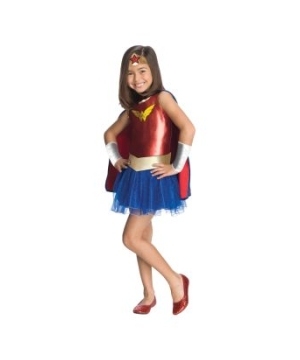 Who wouldn’t want to be dressed like The Wonder Woman? We all do! 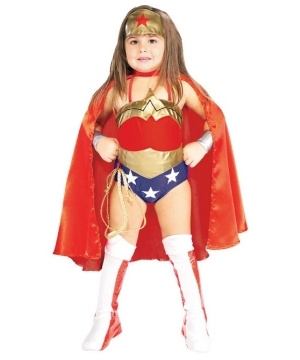 From little girls to working women – we feel a sense of pride and power in a runny red and bleeding blue costume, and a tinge of gold makes a whole world of difference. This embodies freedom, dreams, values and a sense of belonging. So, explore our store and make your pick from a plethora of selections. We have exactly the suit that you are looking for.